About us - Сайт izdomaleshego! 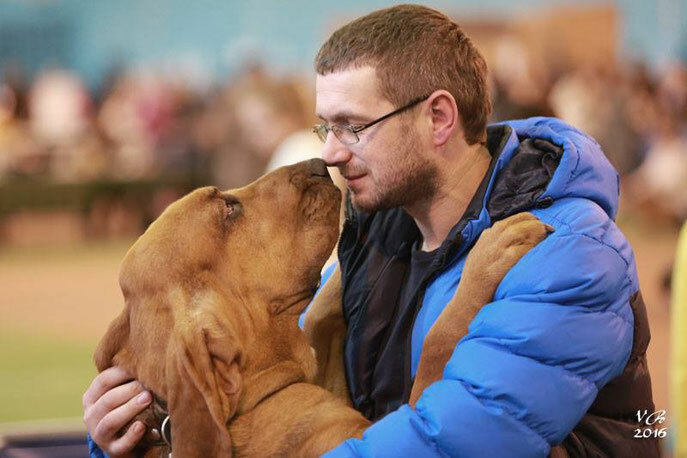 Welcome to the website of kennel FCI " IZ DOMA LESHEGO"
Our kennel "the Best kennel of bloodhounds" 2016, 2018, Moscow, judge "Fauna"
The cattery was registered in 2014 in club " Alba Ross"
See our manufacturers, their success at the exhibitions, and choose a puppy you can have at any time. We will also assist you in the selection and delivery of a puppy from any kennel in the World, help in preparing for exhibitions, help in grooming and trimming.